Load up the bus with your crew and let’s take this classic Double-Decker convertible down the coast! Enjoy amazing, unobstructed views of the coastline as we roll down Pacific Coast Highway. No need to stop to check out the swell, from atop the Big RED Bus your looking straight down on the surf-line. Our Surfin Safari is a 5 hr adventure with stops at your 3 favorite surf spots; with beachfront parking, this no hassles beach day is a dream come true for a local and tourist alike. Unravel the crew right onto the sand and into the water! 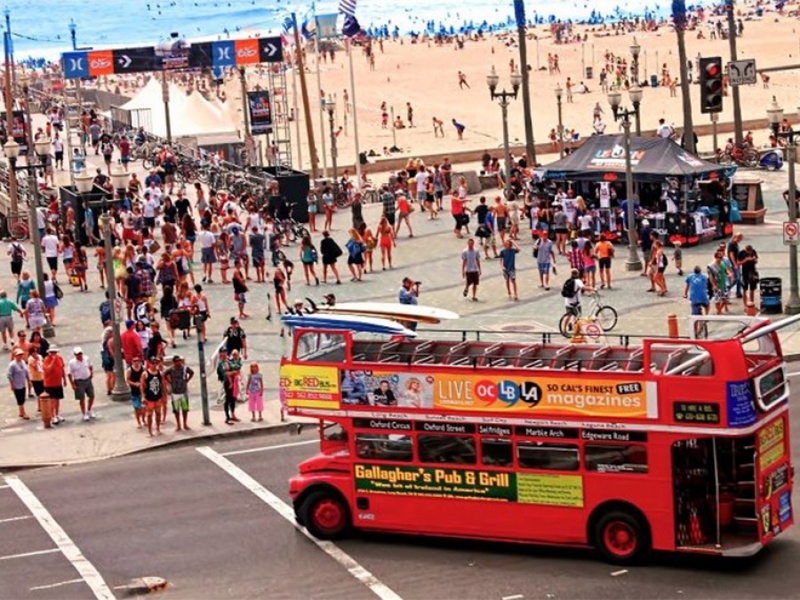 The bus can be loaded with up to 40 people and 30 surf boards; the top deck seats 40, so boards, and other beach equipment will be easily stashed down below. Feel free to bring some food and drink onboard, as well as some tunes! Cost: Call us for pricing. Prices subject to change. For designated start locations speak to a BRB representative.